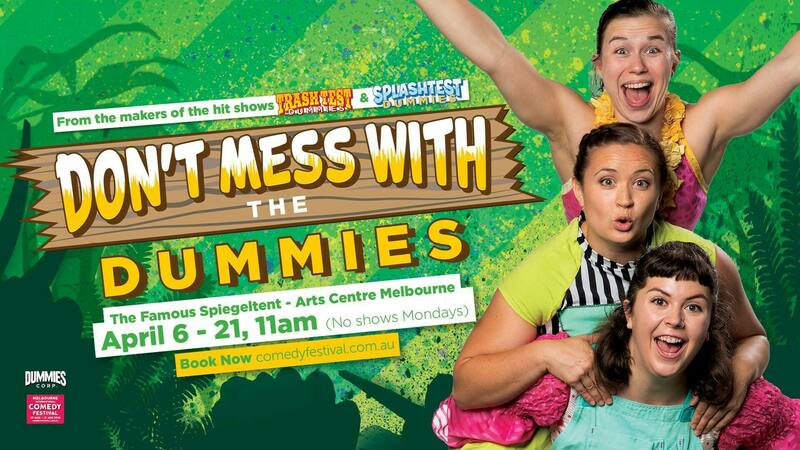 It's not difficult to see why Don't Mess with the Dummies at The Famous Spiegeltent at Arts Centre Melbourne, 100 St Kilda Rd, in the CBD won the 2019 Best Children's Show Adelaide Fringe Weekly Award. It hits the spot with its target audience and endears itself to adults and kids alike. 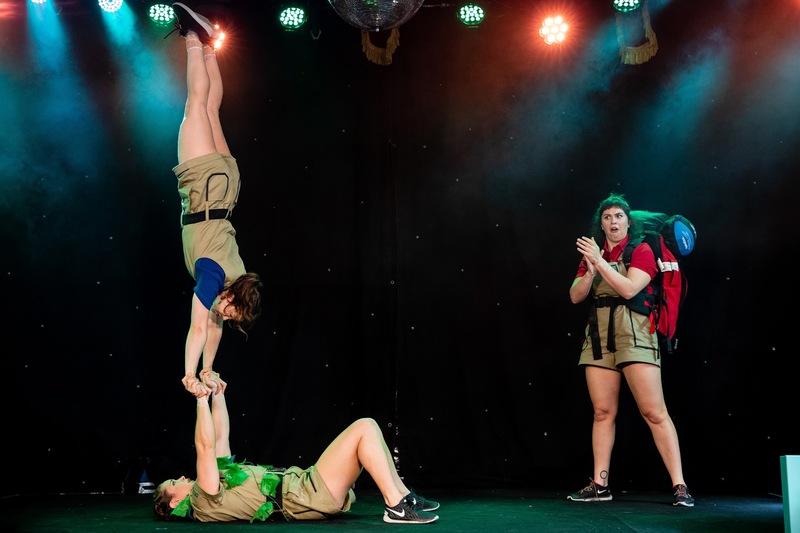 The majority of the performance is up front and centre at floor level, allowing this brand new all-female ensemble to fully engage with everyone and easily target the audience with their cheeky antics. 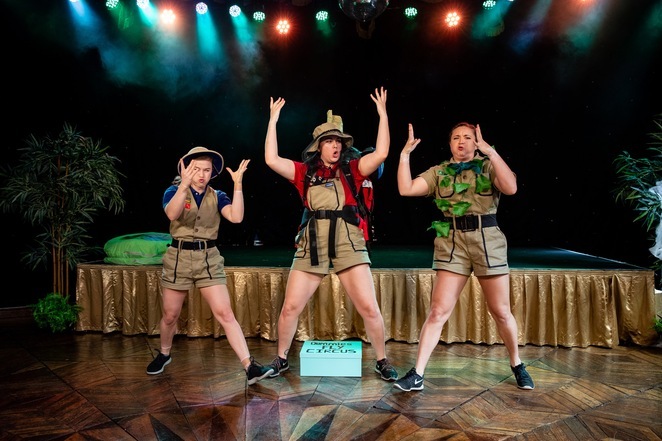 With shows running till 21 April 2019 at a kid-friendly time of 11am daily except Mondays (no shows on Mondays), tickets for the 60 minute shows are $25 Adults; $20 Kids and groups of 4 plus. Please note, the performances on Sat 13 April 2019 will be filmed. Get your tickets HERE. Ellen the responsible one, Maya the erratic and malleable and Shona the excitable clown, head for the jungle to set up camp. From thereon each Dummie takes on their own relatable role within the group. It takes a minute or two to establish characters and get the audience onboard, but after that, each passing minute continues to engage and surprise the audience, as the combined talents of the Dummies begins to unfold, and it doesn't stop! Verbal communication is minimal and barely there, which totally supports the whole show, relying on the girls to express themselves through grunts and sounds, a lot of expressive facial communication and body language. They deliver beautifully and you are left without doubt as to what they're saying. 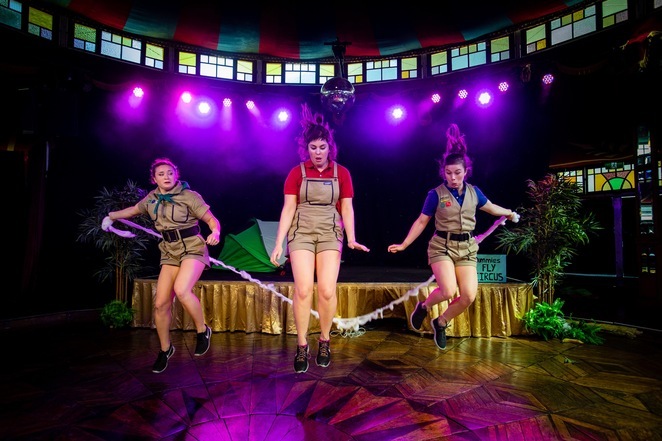 With huge doses of slapstick, inventive puppetry, imaginative gameplay, circus, comedy, and more, it easily emerges that these girls are as strong as they are silly. The foot juggling and skipping off the floor on your buttocks is definitely a feat in controlled movements and athleticism. They're cheeky, they're amazing and they'll jump into your affections. After the show, there's plenty photo opportunities with the girls to add to your memory file. Don't miss this NEW all-female circus comedy, as it fills the famous and fabulous Spiegeltent with laughter and all-round feel-good moments of joviality that'll put a smile on your dial. Cost: $25 Adult; $20 Group of 4 plus; $18.50 Preview; $20 Kids.